Elia is Belgium’s electricity Transmission System Operator (TSO), thus playing a crucial role transmitting electricity from generators to distribution systems, which in turn deliver power to the consumer. Boasting a pivotal location in Europe, Elia is also a key player in the energy market and the interconnected electricity system. With this contract, AleaSoft reinforces its status as the leading forecasting solutions supplier of electricity demand forecasting for European Transmission System Operators, which already included clients such as REE (Spain), Statnett (Norway), and Terna (Italy). AleaSoft continues to expand its client base, reinforcing its leading position as a provider of energy forecasting models. 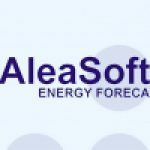 AleaSoft is one of the principal electricity demand forecasting providers in Europe, as well as forecasting for prices of electricity markets. AleaSoft has been a strong player in the European market, and has ambitions to cater globally.